Special thanks to Thomas Daly of the American Biography podcast for providing the intro quote for this episode! For more details on the French and Haitian Revolutions, check out the Revolutions podcast which covers both in great detail. Abernethy, Thomas P. The South in the New Nation 1789-1819: A History of the South, Volume IV. Wendell Holmes Stephenson and E Merton Coulter, eds. Baton Rouge, LA: Louisiana State University Press, 1961. Allgor, Catherine. A Perfect Union: Dolley Madison and the Creation of the American Nation. New York: Henry Holt & Co, 2006. Feldman, Noah. The Three Lives of James Madison: Genius, Partisan, President. New York: Random House, 2017. Fewster, Joseph M. “’Tarnished Glory’: The Aftermath of British Victories in the West Indies in 1794.” The Journal of Imperial and Commonwealth History. 21:1 (1993) 75-104. Gillikin, Margaret Wilson. Sanit Dominguan Refugees in Charleston, South Carolina, 1791-1822: Assimilation and Accommodation in a Slave Society. Thesis. Columbia, SC: University of South Carolina. 2014. Hobson, Charles F. “Chisholm v. Georgia.” The Oxford Companion to the Supreme Court of the United States. Kermit L Hall, ed. New York and Oxford: Oxford University Press, 1992. p. 144. Jenkins, H J K. “Franco-British Disagreement Regarding American Commerce in the Eastern Caribbean, 1793-1798.” Revue Française d’Histoire d’Outre-Mer. 272 (1986) 257-266. Kaplan, Lawrence S. Alexander Hamilton: Ambivalent Anglophile. Wilmington, DE: Scholarly Resources, 2002. Kokomoor, Kevin. “Creeks, Federalists, and the Idea of Coexistence in the Early Republic.” The Journal of Southern History. 81:4 (Nov 2015) 803-842. Moitt, Bernard. “Slave Resistance in Guadeloupe and Martinique, 1791-1848.” The Journal of Caribbean History. 25:1 (1 Jan 1991) 136. Moitt, Bernard. “Book Review: A Colony of Citizens.” Southern Quarterly. 44:3 (Spring 2007) 209-212. Nettels, Curtis P. The Emergence of a National Economy: The Economic History of the United States, Volume II. White Plains, NY: M E Sharpe Inc, 1962. Orth, John V. “Eleventh Amendment.” The Oxford Companion to the Supreme Court of the United States. Kermit L Hall, ed. New York and Oxford: Oxford University Press, 1992. p.250-251. Roberts, Cokie. Founding Mothers: The Women Who Raised Our Nation. New York: HarperCollins, 2004. White, Ashli. 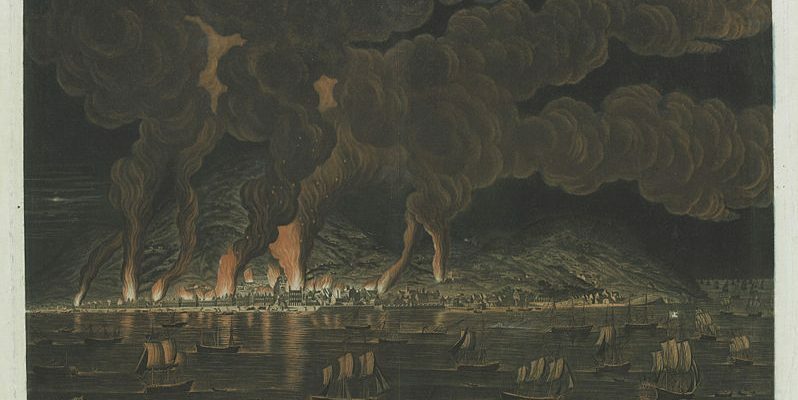 Encountering Revolution: Haiti and the Making of the Early Republic. Baltimore and London: Johns Hopkins University Press, 2012. Winik, Jay. The Great Upheaval: America and the Birth of the Modern World, 1788-1800. New York: Harper Perennial, 2008 .